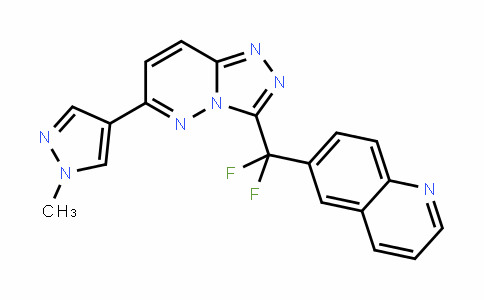 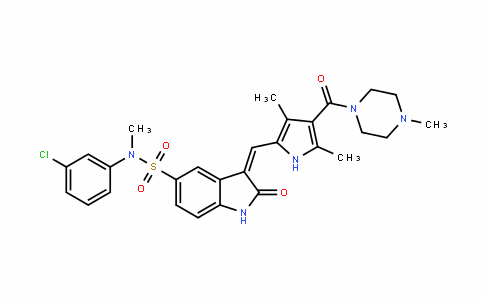 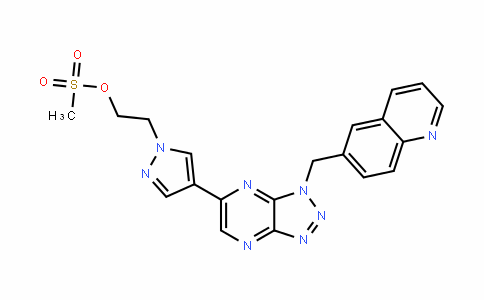 PF-2341066(Crizotinib) was shown to be a potent ATP-competitive inhibitor of c-Met kinase with a Ki=4 nmol/L and IC50 value of 11 nmol/L across a panel of human tumor and endothelial cell lines. 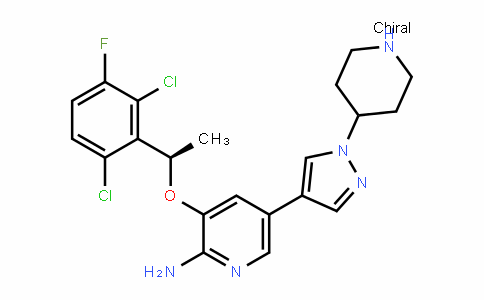 PF-2341066(Crizotinib) showed similar potency against c-Met phosphorylation in mIMCD3 mouse (IC50, 5 nmol/L) or MDCK canine (IC50, 20 nmol/L) epithelial cells. 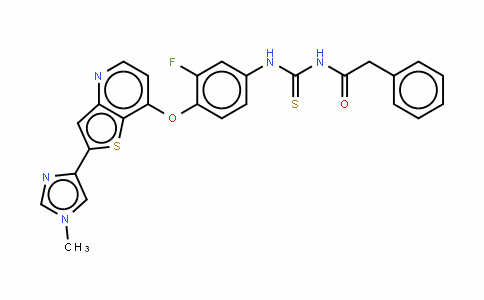 PF-2341066(Crizotinib) exhibited improved or similar activity against NIH3T3 cells engineered to express c-Met ATP-binding site mutants V1092I (IC50, 19 nmol/L) or H1094R (IC50, 2 nmol/L) or the P-loop mutant M1250T (IC50, 15 nmol/L) compared with NIH3T3 cells expressing wild-type receptor (IC50, 13 nmol/L).